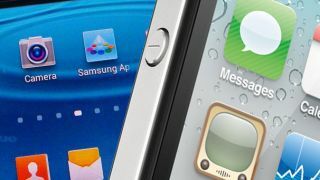 Samsung has once again been found guilty of infringing Apple's 'rubber band' patent in the latest round of the tech duo's never-ending patent war. Reuters reports a Japanese court ruled that some of Samsung's earlier Android devices infringed on the 'bounce back' UI tool, which appears within iOS. The software feature gives users a neat elasticity when they reach the bottom of a web page, email thread, photo album or messaging thread, for example, bouncing before it snaps back into place. This patent continues to come in useful for Apple. The company used it in last year's blockbuster California trial, which ended up costing Samsung $1.1 billion (UK£713m, AUD$1.19bn) in damages. In truth, the latest ruling against Samsung will not cause the company too much damage as it has replaced the bounce-back feature with a blue-line at the foot of documents in his newer handsets. This particular patent does remain the topic of heavy discussion. Earlier this year the US patent office ruled it invalid, only to have another change of heart this week.